1960s’ action adventure thriller set in Roma Nova, the sole remnant of the Roman Empire to survive into the 20th century. Former Praetorian Aurelia Mitela, sent to Berlin to investigate silver smuggling, barely escapes a near-lethal trap. She clashes with the mysterious and attractive Miklós, a known smuggler who knows too much, and is nearly terminated by Caius Tellus, a Roma Novan she has despised and feared since childhood. In the best crime thriller style, she discovers her old enemy is at the heart of all her troubles. She pursues him back home to Roma Nova, but he strikes at her most vulnerable point – her young daughter. 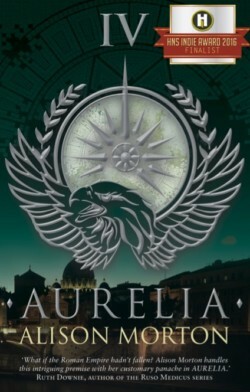 One of Roma Nova’s imperial strong women in this alternative history thriller, Aurelia is fallible before her implacable enemy. Can she stop him before he strangles Roma Nova’s lifeblood and her child? Aurelia Mitela, imperial councillor and ex-Praetorian in early 1980s Roma Nova, scoffs at her intelligence chief. But in this gritty female led action adventure, Aurelia may be too late to save Roma Nova from meltdown and herself from termination by her lifelong enemy. The last province of the Roman Empire to survive into the 20th century, Roma Nova founders under a ruler afraid to rule, a bureaucracy creaking for reform and worst of all, a rising nationalist movement under a charismatic leader who wants to destroy all that Aurelia stands for. 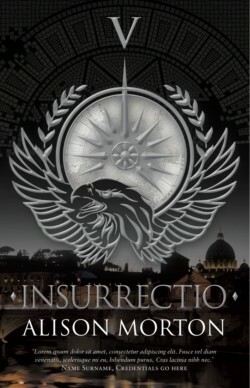 Part political thriller, part alternative history, part military fiction, INSURRECTIO rises to a terror-ridden climax when Aurelia and Roma Nova itself face destruction.